Vishu is a festival celebrated as Hindu New Year in the Indian state of Kerala. It falls in the Malayalam month of Medam which is April as per the Gregorian calendar. 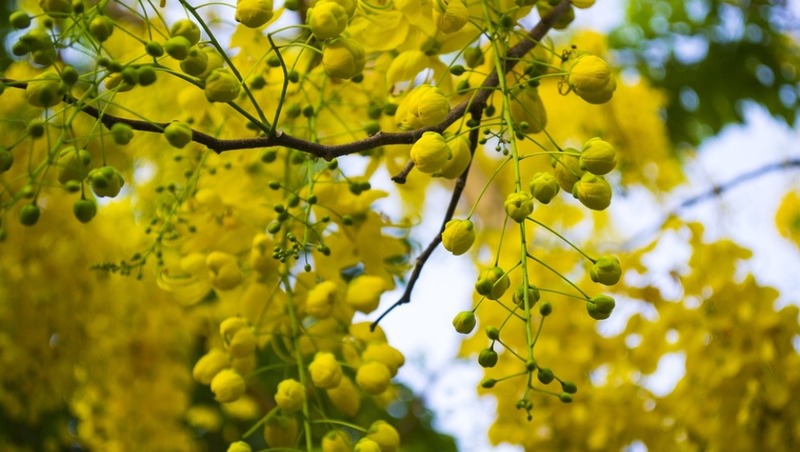 Vishu 2019 will be celebrated on April 15. Vishu Kani is one of the important aspects of the observances which believers follow quite religiously. Vishukanni or Vishu Kani literally means the first thing that is seen on the day of Vishu. An arrangement of various things is put together as it is believed to be the first thing the person will see at the start of the day. 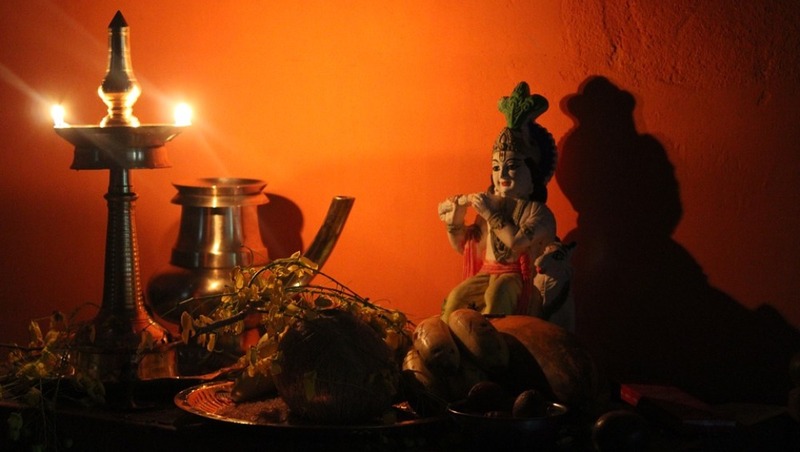 Traditionally, in Kerala, it is believed that one's future will depend on what they see first on the morning of Vishu festival. Hence people arrange a statue of Lord Krishna and other produce of harvest including vegetables, fruits, grains other than money and gold hoping for a great year ahead. The Vishu Kani is kept together in a place near other idols in the house. On the morning of Vishu, people wake up with closed eyes and start their day by seeing the Vishu Kani. Children are brought blindfolded into the prayer room so that they see the Vishu Kani the first thing on the day. People pray to Lord Krishna for prosperity and well being as they enter into the new year. 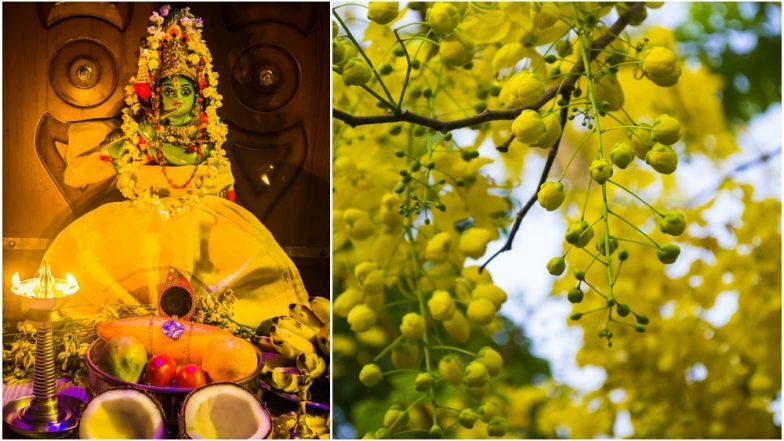 Vishu 2019: When is Vishu Sankranti? Date, Timing, Significance and Story of the Malayali New Year. The Vishu Kani is arranged inside a big vessel called Uruli. The traditional uruli is an open-mouthed wide circular vessel made of five metals. A kasavu mundu is placed on top of it on which Vettila (betel leaves), ripe areca nuts and a ripe mango are kept. Aranmula Kannadi, a specially designed mirror which is considered auspicious is also kept in vishukkani. It is placed in such a way that one can directly see their face on looking into it. Vegetables and grains depicting a good harvest are also placed in the vessel. Konnapoovu which is a bunch of yellow coloured flowers is also kept inside the vessel. The deity of Lord Krishna is kept behind the kani do that one has a clear view of everything. A lit lamp is placed beside the idol of Lord Krishna. On this day, elders of the house give younger ones Vishukkaineettam, which is money as a tradition. It is said that the money should be distributed among the poor on Vishu. The traditional Sadya spread on a banana leaf with varieties of dishes is another peculiarity of this day. Believers also visit temples in the morning to pray for health, wealth and prosperity. We wish everyone celebrating a Happy Vishu!